Drug induced birth defects are known for generations. Medications available over the counter are perceived as safe, but their safety for fetus yet continues to be unclear. Low statistical incidence of drug induced birth defects impedes adequate confirmatory conclusions. 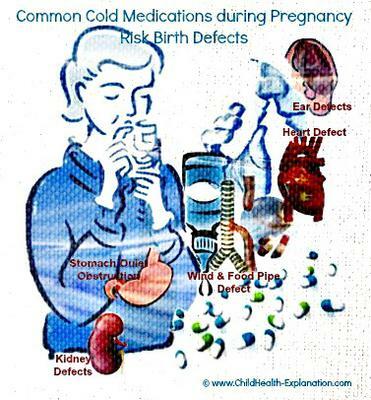 Do common cold medications risk birth defects in the fetus? Medications for common cold are extensively advertised and widely used. Instant relief that Pseudoephedrine decongestants taken by mouth or nose offer certainly is most welcomed by a young mother, but what happens to the baby in her womb? Study published in July’2013 issue of American Journal of Epidemiology shows ill effects of these drugs on fetal development. It is a large study that was conducted over 19 years (1993 -2012) on data obtained from the Slone Epidemiology Center Birth Defects Study. Little over 20,000 infants from the United States and Canada were evaluated; 12,734 infants were babies who were had birth defects and 7,606 normal infants formed the control group. The study data obtained indicates link between some specific birth defects and oral decongestants (taken by mouth) and possibly also those that are administered through nose. 1. Imidazoline derivatives – Tracheoesophageal fistula and renal collecting system anomalies. 3. Phenylephrine – Endocardial cushion defect of the heart. 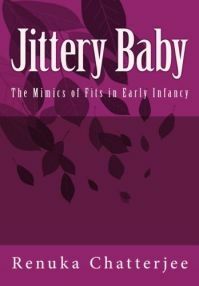 The ill effect was particularly noted when the decongestant medications were taken during early phase of fetal development, the first trimester. •	Placental transfer: Possibility of direct effect of decongestants on the fetus cannot be totally ruled out, but till date there is no scientific support that confirms that passage of decongestants through the placenta. Oxidative stress secondary to uterine vasoconstriction is believed to be the main cause of birth defects attributed to common cold medications taken by the mother during early phase of fetal growth. Pseudoephedrine, phenylephrine, and phenylpropanolamine have potent stimulatory effect on α adrenergic receptors, and uterine blood vessels have only α adrenergic receptors. In spite of noted increase in risk for drug induced birth effects, the statistics shows low prevalence of congenital malformations that could be attributed to the use of over the counter medications. Paucity of cases hinders exhaustive analysis, yet the findings are thought provoking and warrant more studies of the kind. Locally acting nasal decongestants were until now considered relatively safe mode of therapy. This study has uniquely brought forth that like systemic intake, nasal decongestants used during early pregnancy can also endanger normal fetal development. The affected families suffer variety of long term social, psychological, educational and other child health issues. On cross sectional survey absolute number of affected families is by no means small, and many of them qualify for disability benefits for their disabled child.